EIGHTEEN MONTHS ago Loving Dalston reported that a young Hackney chef who had been winning high praise from top critics wanted to open her own restaurant in the area. 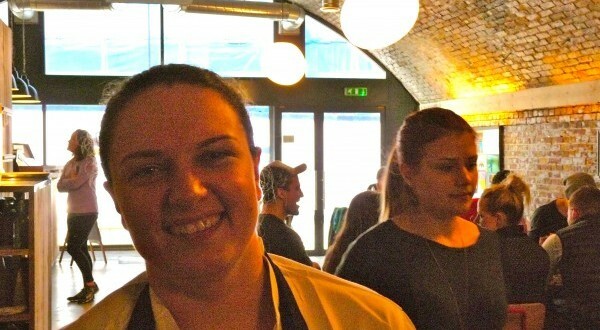 Now it is happening: having delighted foodies at Trip Kitchen and Bar under an arch in Haggerston, Selin Kiazim is replacing a tacky Mexican restaurant in huge premises in Shoreditch next month October 2015. Paradoxically, the arch next door to Kiazim’s Hackney sessions was filled this April 2015 by another Mediterranean-influenced resto, Berber and Q (say it fast… yes, “Barbecue”). 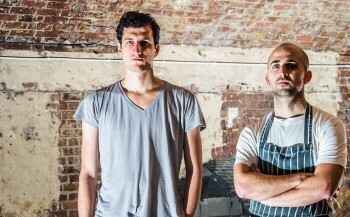 Founder-chefs Josh Katz and Mattia Bianchi have been winning great reviews from the professional foodies, although a mostly favourable essay by Katie Glass in The Sunday Times raised a key question: is it enough to serve up Mediterranean food in a style that emigrants’ stalls and cafés have been doing in northeast London for decades? Something more, she thought, was needed. Kiazim, with her north Cypriot-roots love of trad-Turkish — cooking over charcoal — may just be the cook to provide it. * Another set of cooks saying they “focus on healthy food” is based at Bel-Air in Shoreditch. They deliver by bicycle. * NB: None of these mentions has been paid for. Many blogs, especially those about food and fashion, have been secretly taking money for mentioning products. Loving Dalston tries to observe the National Union of Journalists ethics code, under which such a practice would be unethical.